What I Need To Know About Renting out MY RV For Profit. If you are considering making a few extra dollars each year by renting out your “usually parked” RV, here are a few things you need to know, and do, to keep the cash flowing. SAFETY! Safety has to be paramount in your decision to allow another person to use your RV. Whether you have a class A motorhome or a folding trailer, you, as the rentee, have to ensure that the unit is road worthy and free from defects that could cause injury or death to the occupants. Let’s start inside. You MUST have the propane system checked for leaks! PERIOD. EXCLAMATION POINT! I cannot be more emphatic about this. Propane leaks can lead to fire or explosion. You need to have your system checked by a qualified technician at least annually. If you have a rig that is capable of going off road, check it more often. Keep documentation that the test was conducted, with date, time, where in the unit the test was conducted, (Range, regulator, etc.) and what the results were. At a minimum, your system needs to hold 8” of water column for 3 minutes. The Smoke Alarm, CO (Carbon Monoxide) Detector and Propane Detector must be working. Each has an expiration date -bet you didn’t know that! If your detectors are out of date, replace them. The smoke alarm and CO detector may be battery operated, if so, replace the batteries every 6 months. The CO and Propane detector may be a single unit that is hard wired into the 12v system. Every RV is required to have a working fire extinguisher. It must be located within 24” of the entry door. If you have 2 doors, it would be wise to have a second extinguisher located there as well. A 5 pound ABC rated extinguisher is perfect. Your 120 volt electrical system needs to be checked annually as well. Since RV’s are bouncing down the road, occasionally, stuff comes loose. You do not want a live, 120 volt wire dangling and potentially making contact with the RV frame. Not only is that a possible fire danger, it can create a condition known as “Hot Skin”. Hot Skin occurs when an electrical wire is making contact with the RV structure, this makes the RV “live”. Generally, most people find out that there is a Hot Skin when they get some sort of shock as they touch the RV while standing on the ground. Hot Skin can be fatal. A Qualified technician can perform a test to see if you have a problem. Checking the system is fairly easy. Start at the shore cord. Inspect the entire length looking for breaks in the outer insulating jacket. Especially check the area directly by the plug. You should not see any wire exposed. Use an outlet tester to verify that the GFI outlets do indeed work, and that all outlet wiring is correct. All RV’s have emergency egress windows. They must be operational and clearly labeled. Brakes. Brakes can often be neglected on seldom used RV’s. If you have a folding trailer for instance, that you use 2 or 3 times a year, you might think that the brakes should be like new. True, the shoes may be like new, but, are the brakes activating? Most trailers use electrically operated brake shoes. Brake failure on trailers is generally a result of the loss of electrical power to the brakes. There are wires that run from the front of the trailer to the axle. A rock or tree branch can break apart this connection. Also, there may be a fuse in the system. Additionally, if you have a trailer, the emergency break away switch needs to be exercised annually. Just pull the cable sharply! The pin will come out and activate the brakes. Make sure the cable is not frayed and re-insert the pin. Tires. Inspect your tires for unusual wear and for cracks or other deformities in the sidewalls or treads. Be sure they are properly inflated. Lighting. All RV’s have a requirement for lighting. Whether it is a class A or a folding trailer, all must have working brake lights, turn signals and running lights. Your 7 pin trailer plug needs to be in good shape with no exposed wiring. Hitch. If your unit is a trailer, is your coupler working properly? Are there any signs of rust? A quick pass with sandpaper and some rust preventative paint can make the coupler area look like new. Fresh Water Holding. The fresh water holding tank is a potable water repository. You should drain and sanitize this tank after each rental. It sounds extreme, however, you do not want the liability of having a renter drink contaminated water. People do crazy things, you never know what someone may put into the tank. A cup of bleach and a little time, can prevent someone from getting ill. Add 1 cup of bleach to the full tank. Run the pump until you smell bleach at all of the faucets. Let it sit overnight. Drain the holding tank. Fill the tank, run the faucets. Do this until you do not smell bleach any further. Aesthetics. You want your rig to be pleasing to the renter, it needs to look and smell good. Clean the interior and exterior between rentals. Use an air freshening product to eliminate any old cooking odors. Holding Tanks. Use odor eliminating chemicals in your black and gray water tanks. I recommend having your tanks cleaned annually, more often if you sense a problem with your monitoring sensors. Provide the toilet paper and chemicals, that way you can ensure the proper product is being used in your system. Water causes mold, mold causes odor. At least once per year, get into every nook and cranny to check for any signs of water penetration. If you find any signs, remediate the problem to protect your investment. Insects and rodents. Camping is an outdoor activity. Nature sometimes wants to hitch a ride in our rigs. From the smallest ant, to larger flying insects like mud daubers, you need to provide an insect free RV for your customer. Visually inspect the soft surfaces for the little critters know as bed bugs. Treat your rig at any sign of infestation. Drapery, flooring, bedding, all of these things, if in good shape, can help you get top dollar for your rental. Does the door latch properly? Do all of the key locks work? Stereo, TV, Nav, are they all working properly? Cabinetry. Do all of the doors and drawers function? Latch properly? Are all the knobs and handles tight? Interior lighting. Do all of the lights work? Enough said. Exhaust Fans. At a minimum, your rig needs to have at least 1 working vent. Powered exhaust fans are much better at eliminating odors and providing ventilation. Do all of the covers function? HVAC. We all love great climate control, and it is a necessity when enjoying the great outdoors! Let’s start with the thermostat. Be sure that your thermostat is working properly. Operate all of the components in your HVAC system to see if everything comes on. How do you check your furnace if you live in Arizona and it is over 100 degrees outside? Check it last. Run your air conditioner at the coldest setting-really chill down the rig. That will give the thermostat room to read a cold temperature and allow the furnace to kick in. Clean the filter on the air conditioner frequently. Get on the roof and inspect your air conditioner. Remove the shroud, check the coils, clean the drain and check the fins for damage. While a customer renting your rig will not care if the fins are bent, you will. Protect your investment! 12 volt system. The 12 volt system is the heart of your RV. With very few exceptions, every RV’s life blood is 12 volt power. Nearly everything requires 12 volts to operate. Every control board needs 12 volts, lights, fans, slide outs, leveling jacks, electric or hydraulic levelers, awnings-everything. Be sure that all of the fuses are intact. Provide extra fuses for your customer. Be sure that your battery or batteries are good. Be sure that all of the cells have water. Clean the terminals and be sure that the batteries are secured to the unit. Did you know, that heavy amperage draw items like your slide outs and hydraulics, may not work properly if there is no battery in the system? The battery is an amperage storage device and these heavy draw items need that capacity to operate. So long as your RV is plugged into shore power or the generator is running, the battery is being charged by the converter. The converter is usually located near the fuse panel, but, I have seen converters in the basement of Class A motorhomes. There is a fuse or fuses, on the converter that provide overload protection. If your rig is not charging the battery, check the fuse. You should expect to see around 13.5 volts at the battery. Roof. Once your RV leaves the protection of your care, you never know how a renter will treat your rig. You are careful to avoid low branches and overhangs at gas stations- a renter, maybe not so much! Get on the roof before your release the security deposit! One small branch can penetrate the roof, and allow water penetration or worse. Insurance. The last item and perhaps the most overlooked is properly insuring your rig. 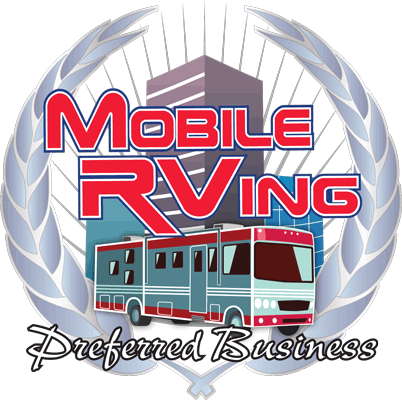 Be sure to insure your rig for rental through your agent or use the services of a company like https://rvshare.com/ to handle the rental logistics. Of course, we can handle the rental inspection for you. Call us today to schedule a meeting!